The incident happened in the early hours of yesterday morning. The aftermath following the Parcel Motel break in last night. GARDAÍ ARE INVESTIGATING after a Parcel Motel depot was cleared out in Dublin in the early hours of yesterday morning. Dozens of boxes were opened by thieves at the Newcastle Road junction in Lucan, west Dublin. Customers are now being urged to contact the company by email if they fear they have lost their deliveries. The precise number of people affected is not yet known. However, locals have reported seeing empty boxes strewn across nearby streets – people’s packages apparently opened and discarded if they were not of any worth to the thieves. Gardaí are now investigating the incident and have urged anyone with information to come forward. 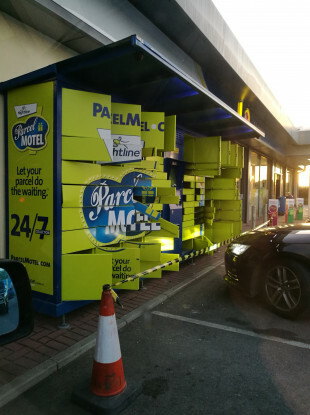 According to its terms and conditions, Parcel Motel will replace any goods which are “stolen, lost or damaged” or will reimburse the customer €100, whichever is the least. Email “Parcel Motel depot emptied by thieves in Dublin ”. Feedback on “Parcel Motel depot emptied by thieves in Dublin ”.